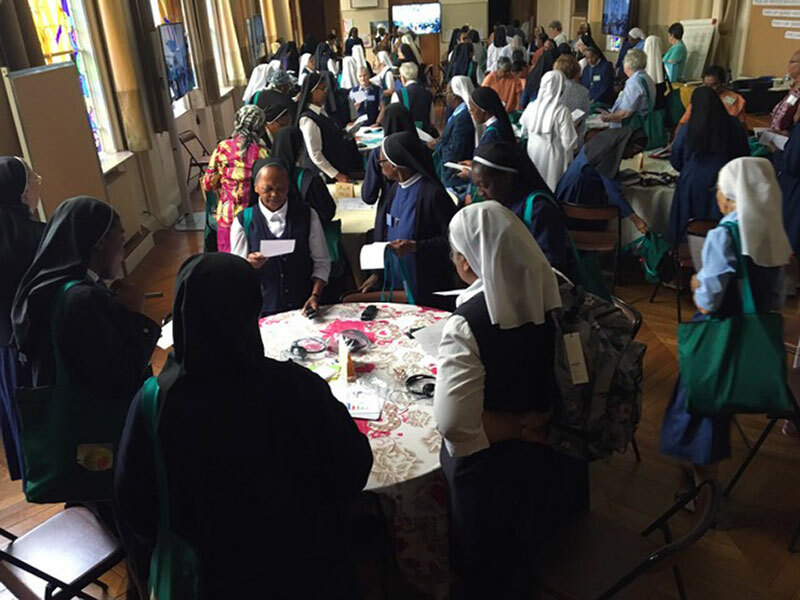 After faith sharing and an introduction to the day by Sister Catherine Ryan, the facilitator, the delegates moved on to the key moment of the day. 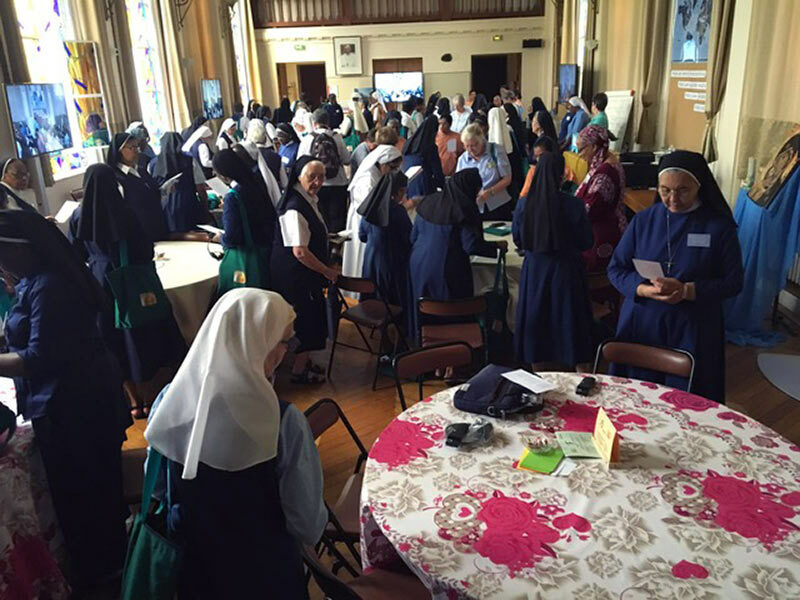 Sister Claire Houareau, Superior General presented her report on the congregation. The report, presented in dialogue form using the pattern of the Emmaus story in Luke’s Gospel, was well received. 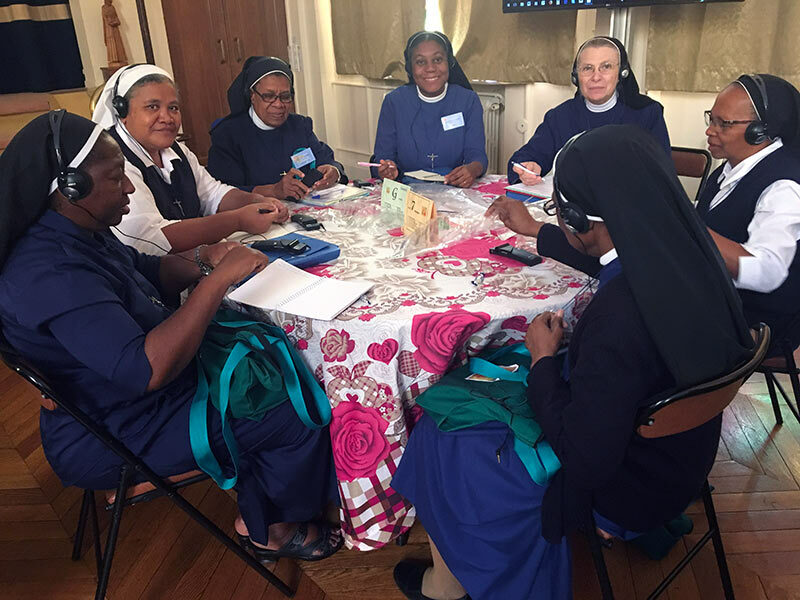 Journeying with the assembly, like Jesus with the disciples on the road to Emmaus, we retraced the life of the congregation, following the orientations of the 2012 General Chapter. 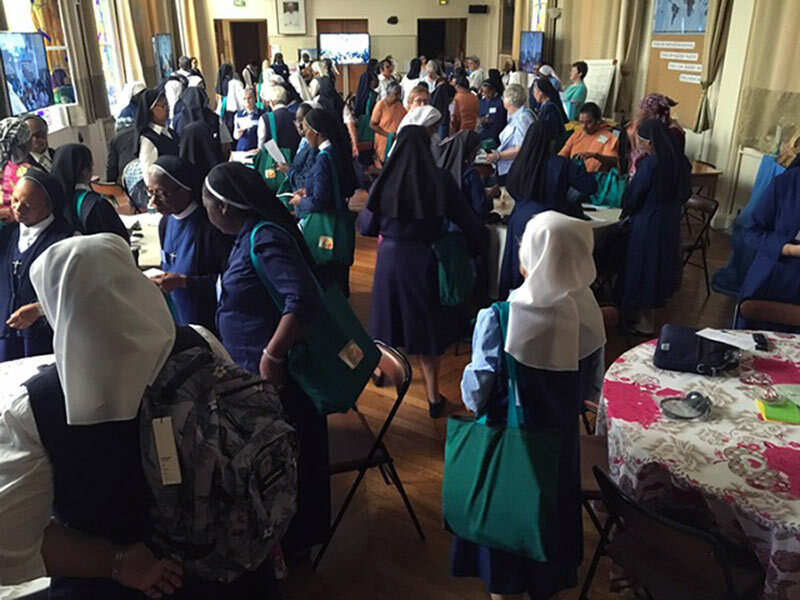 Afterwards, the Sisters heartily thanked Sister Claire and the General Council for what has been accomplished over the past six years. 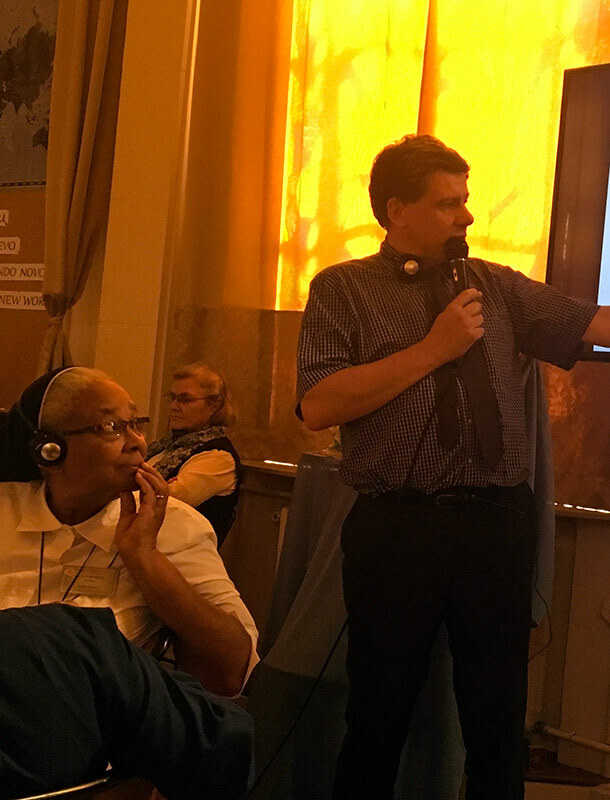 In the afternoon the delegates discussed the report in small groups, and asked questions in a plenary session. The Day began at 8:45 a.m. with “Faith Sharing” in the 12 consensus groups. It was a moment of richness and grace. 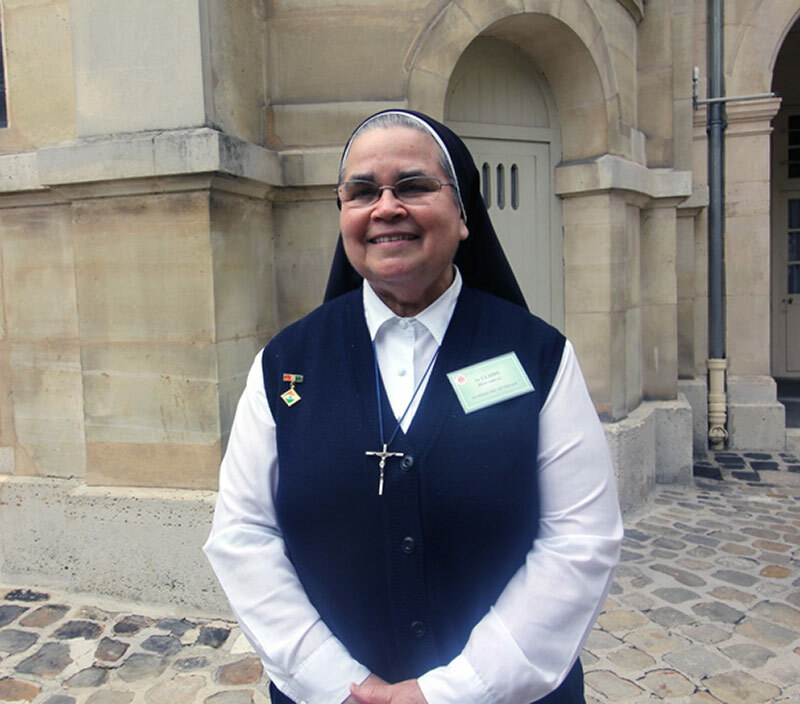 This was followed by the report of Sr. Marie Pascal Batiste, the General Bursar. Mr. Emmanuel Fort, the Chartered Accountant presented the Generalate Accounts through a power point presentation. Before Mr. Emmanuel left, a short time was given for any immediate questions and clarifications. 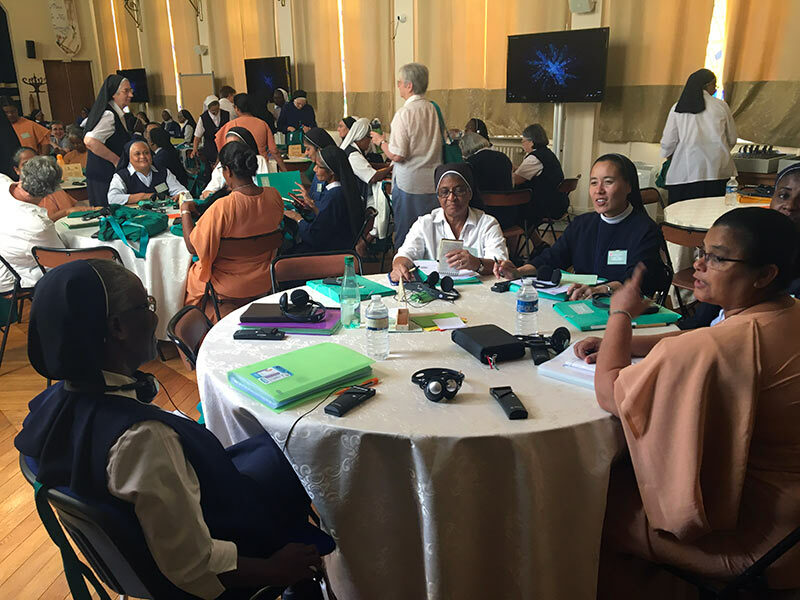 At 2:30 p.m. in the afternoon we again assembled in the Grand Salle for table discussion and reflection. Each table was given a chance to react to the financial report or any other matter related to finance. 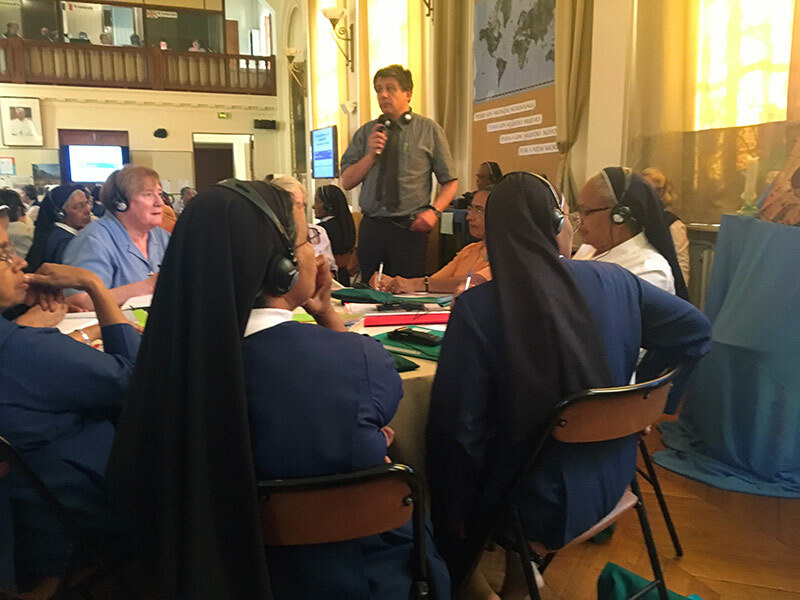 At the end Sr. Marie Pascal responded and clarified the doubts. 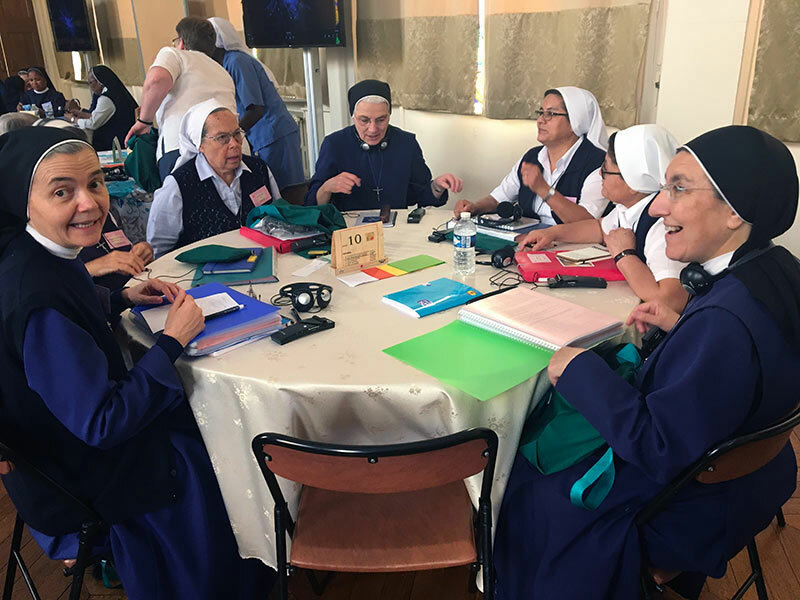 After a short pause, we gathered for the presentation of the Statistics of the Sisters of St. Joseph of Cluny done by Sr. Joan Van der Zyden and presented by Sr. Matilde Faneca, (General Councilors). This was followed by table discussion and sharing. 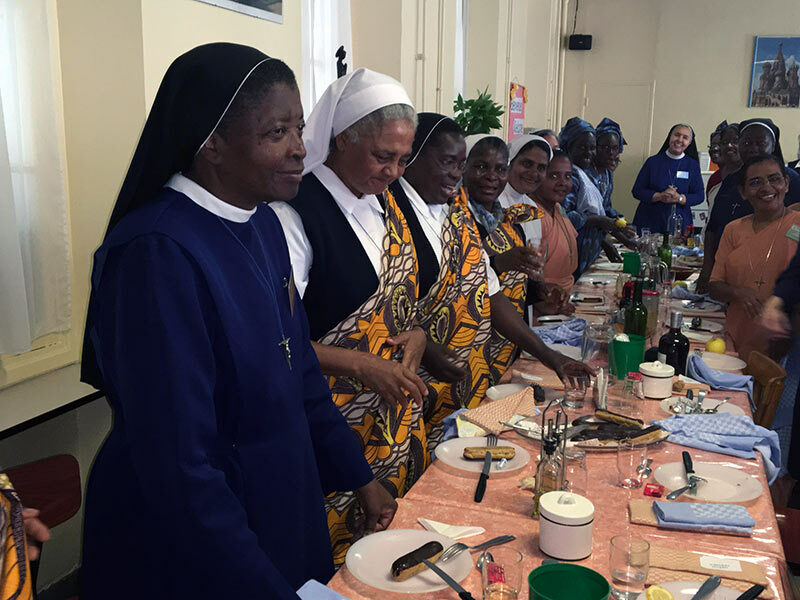 The sharing of the entire assembly reflected both the gifts and challenges of the Congregation. The group dispersed for preparation for the Mission Festival.